The Jacket is the traditional waist-length consultation coat and the Men's Tailored Style is the athletic cut alternative to the Standard Men's white Jacket. This Jacket is made with a 4" taper from under the armhole to the bottom of the coat taking away that "boxy" appearance for a more trim fit. 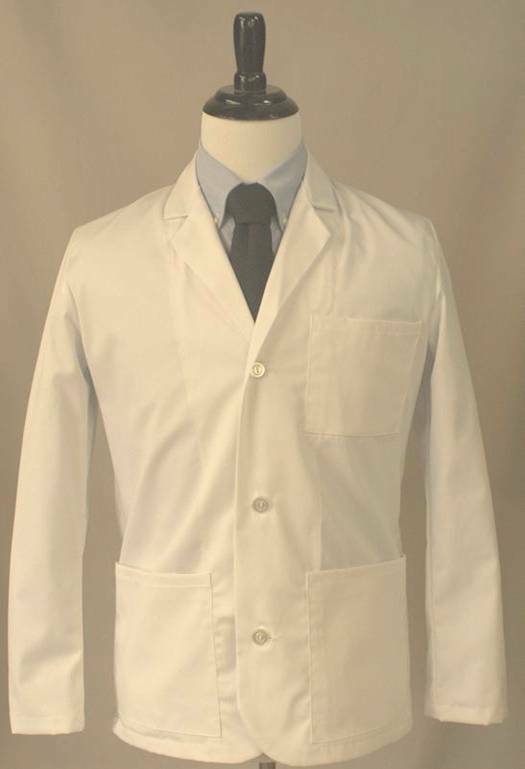 The Jacket features white matte buttons, and a narrowed lapel, collar, and breast pocket. The back of the coat has tapered seams and a sewn down mini belt. The breast pocket has a 3/4" hem and the hem has top stitching on the pocket giving the coat a smart and fashionable appearance.